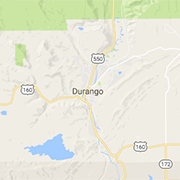 Durango's auto experts are here! Browse auto repair, mechanics, body shops, new car dealers, used cars, Durango automotive repair, car parts, detailing, tires, detailing, car washes, engine repair, transmissions and more. Largest in-store trailer selection in the Four Corners Area! Utility trailers, cargo trailers, and specialty trailers for horses, outdoor toys and more! Southwest Colorado's Muffler & Brake Experts since 1974. ASE Certified with custom accessories, trailer hitches, and more. "Our business is exhausting!"